Just under one hundred 6th grade students participated in the mini-grant supported project, Connecting Our Community through Cuisine. After incorporating the lesson What is Service Learning? in each of her four classroom rotations, students discussed the concept of philanthropy and its importance in our daily lives. Students also completed the Blue Sky activity, and their ideas were displayed in the classroom as reminders of the great things we all want and can do to make the world a better place. 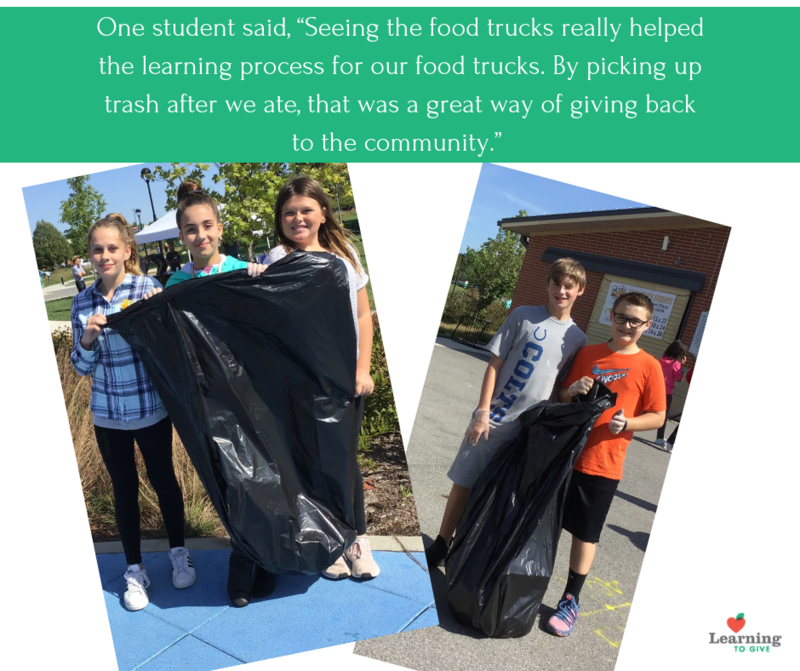 This project connected to the students’ PBL comprehension during a Food Truck Friday. When the students finished enjoying their lunch, they helped the Parks Department service citizens by helping parents with young children, the elderly, and collecting trash. As part of the assignment, students were tasked with designing proposals for their own Food Trucks. For Ms. Seville, her students were able to actively participate in a community food truck event. On a normal day, many of the students would have had difficulty purchasing their food. Everyone made his/her own food choice, and many experimented with foods from other ethnic groups. By servicing community residents, students became aware that even at a young age they can make a positive impact on the lives of others.